ersky9x is a port of er9x for use on the sky9x board. 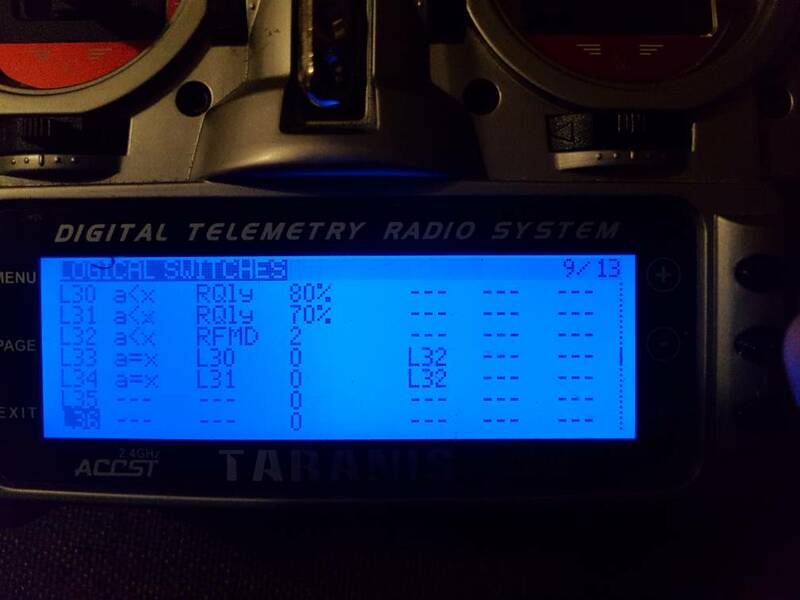 I just flashed ersky9x to my taranis plus and was wondering if it is possible to get the crossfire LQ and GPS data from betaflight shown and logged on the taranis? 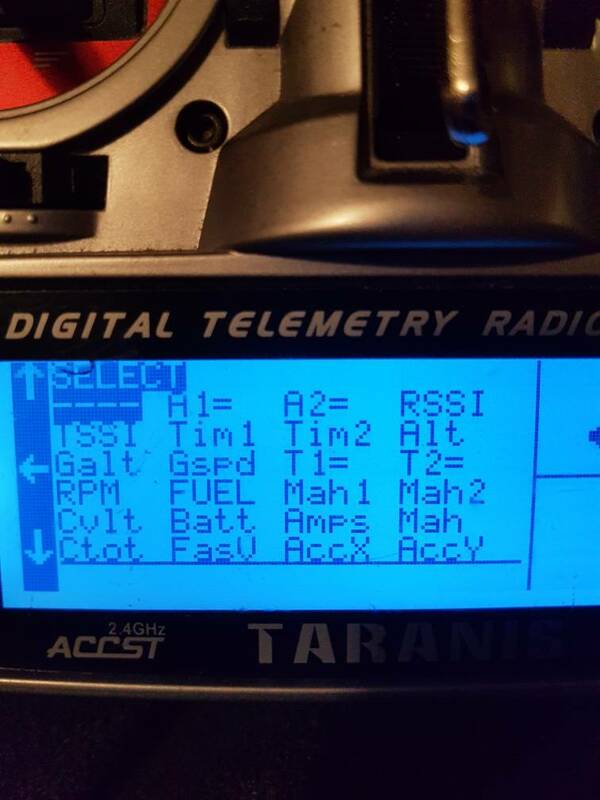 I have already found the telemetry and logging menus, but I can't find any GPS coordinates or LQ. I scrolled through the posts in this forum, and as I understand it, the "discover new sensors" option I know from opentx is not present in ersky9x. In the LOGGING menu, you should find LAT and LONG near the end. These are the GPS coordinates. When you select XFIRE as the protocol for the external module, the telemetry processing should change automatically. Please have a look on the DEBUG menu (UP LONG then LEFT a few times). 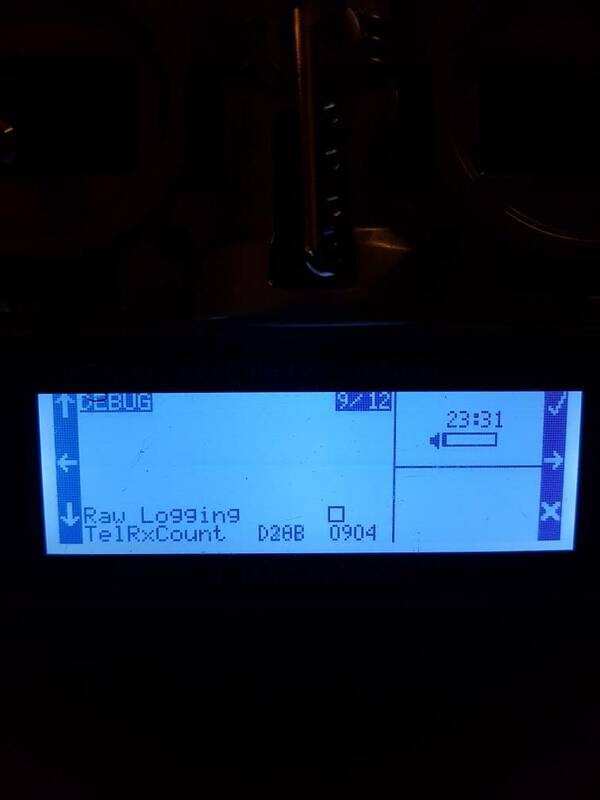 At the bottom are two numbers beside "TelRxCount". 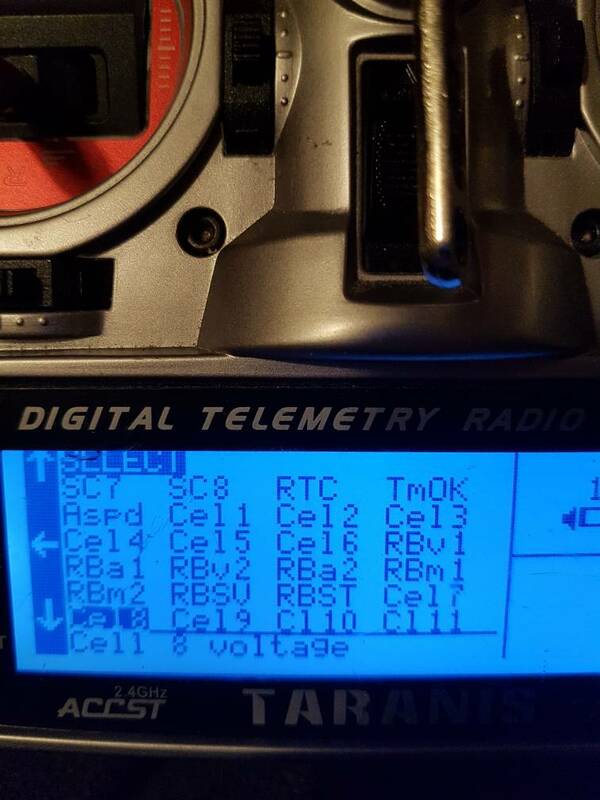 The first counts received telemetry bytes and will be counting up if some sort of telemetry is being received. The second is a code to indicate the type of telemetry being processed. Please let me know what values you have there. Please create a raw log file and post it (zipped) so I may see what is being received. See here https://openrcforums.com/forum/viewtopi ... t=#p123508 for how to create one. Note the Raw Logging option is not preserved through a power cycle. 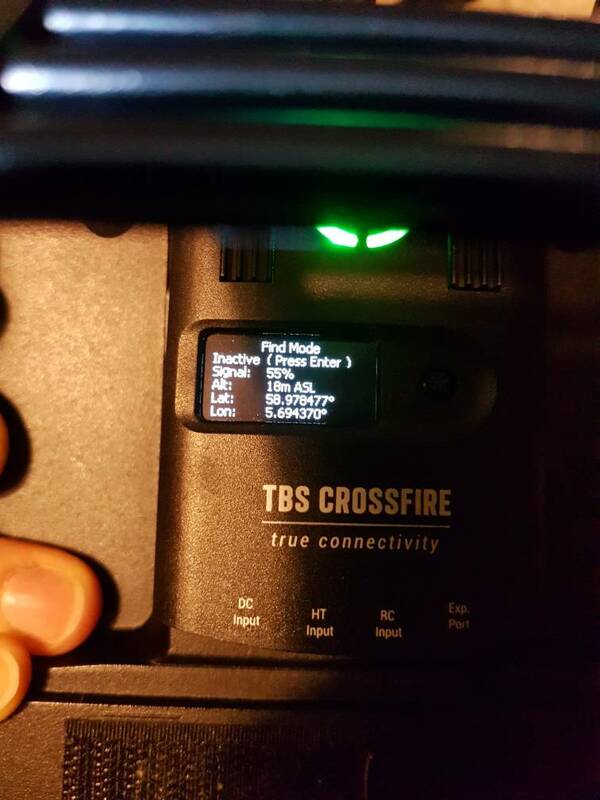 I've had a quick look and I can see valid crossfire telemetry frames. 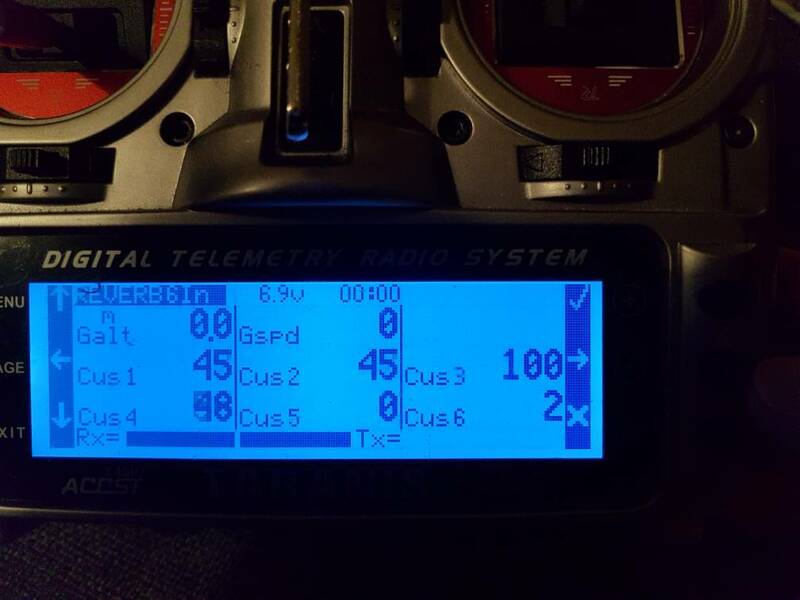 The GPS frame with LAT and LONG in seems to always contain all zeros! I'm a bit short of time so it may be a couple of days before I can check everything. I may try building a special test version that provides some debug information relating to the crossfire telemetry processing. 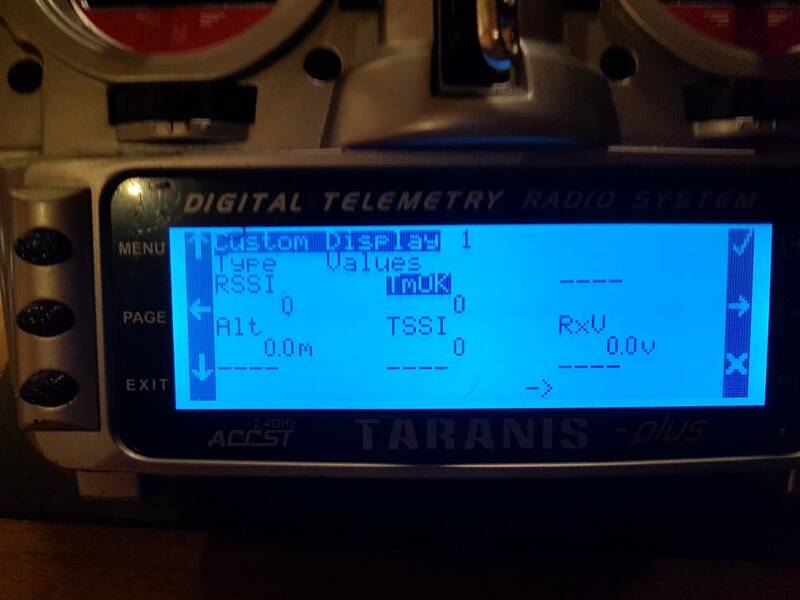 Could you let me know what value you have for the telemetry item "TmOK"? 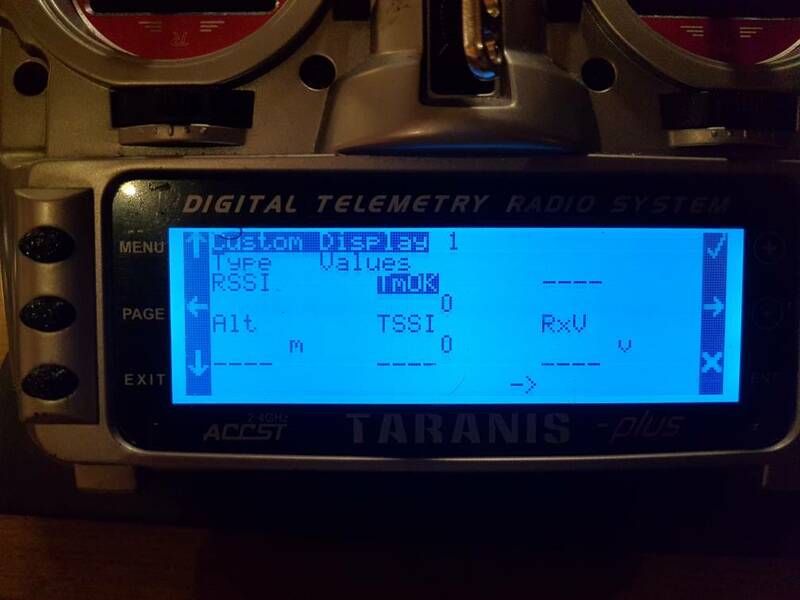 To see it, you may need to put it on a custom telemetry screen. 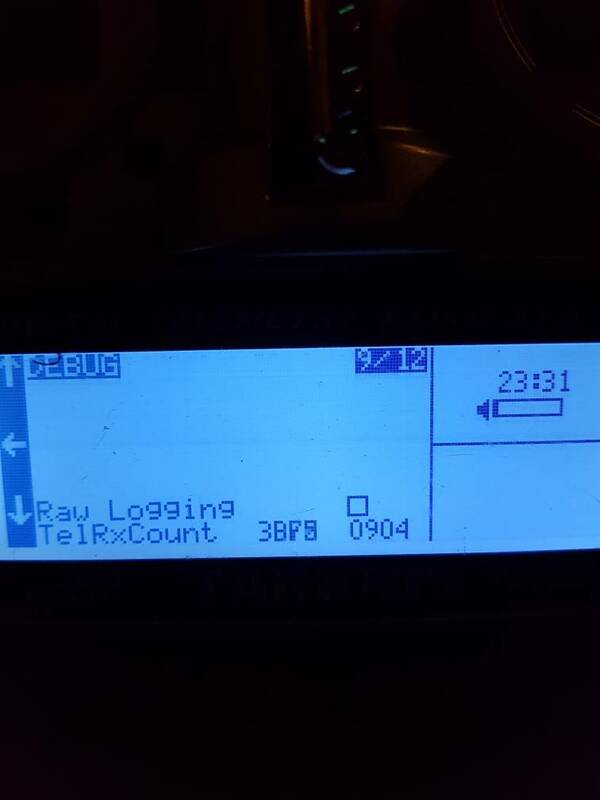 On the "Logging menu" do you have any ticks at the very right of the display for RSSI and ACCX, ACCY and ACCZ? Did you flash the last release version of ersky9x or one of the test versions? Please go here: https://openrcforums.com/forum/viewtopi ... 676#p65894, and download ersky9xProvR222d2.zip. Backup your existing EEPROM and then flash ersky9xr_rom.bin x9dp_rom.bin from the zip file. I think the crossfire telemetry will then work OK.
How do I backup the eeprom? Backup your existing EEPROM and then flash ersky9xr_rom.bin from the zip file. 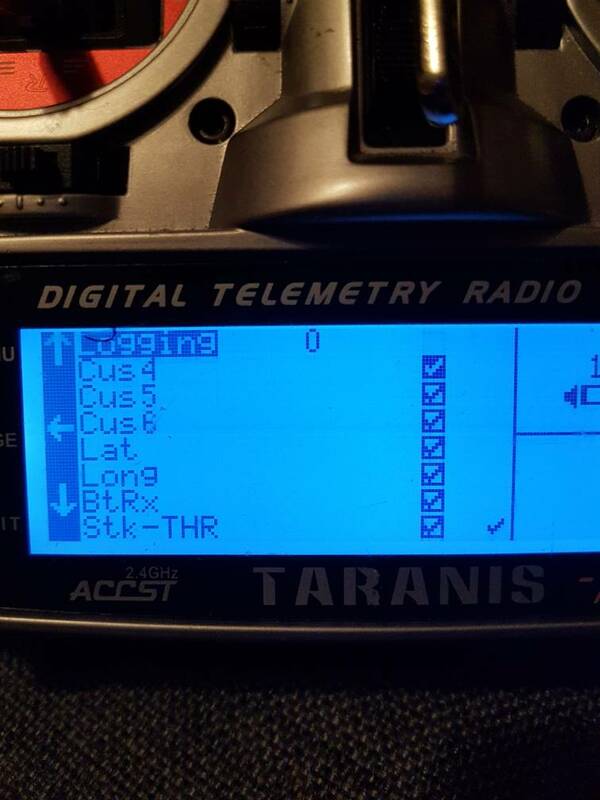 I assume that the correct version to flash was x9dp_rom, not ersky9xr as I have a Taranis X9D plus? 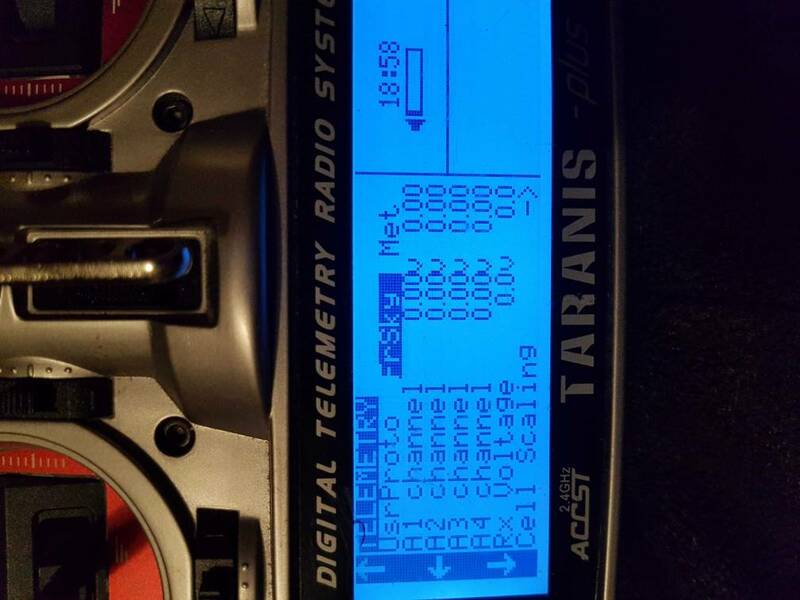 I flashed the file from the zip, and I get telemetry for a short period of time, but get "no telemetry" voice alert and telemetry doesnt work after. in the video, you can see how it behaves. I assume you still have controls working when the telemetry stops? Please create a raw logfile once the telemetry has stopped. Yeah, full control regardless of the telemetry. I found one small bug that might explain the loss of telemetry, if the telemetry data wasn't correct at some point. I've posted a test version with this fixed, and also some debug counters added. These counters may help locate where the telemetry data, that looks OK in your log file, is going missing. They are displayed on the debug menu, 4 on the 4th line and 1 on the 5th line. 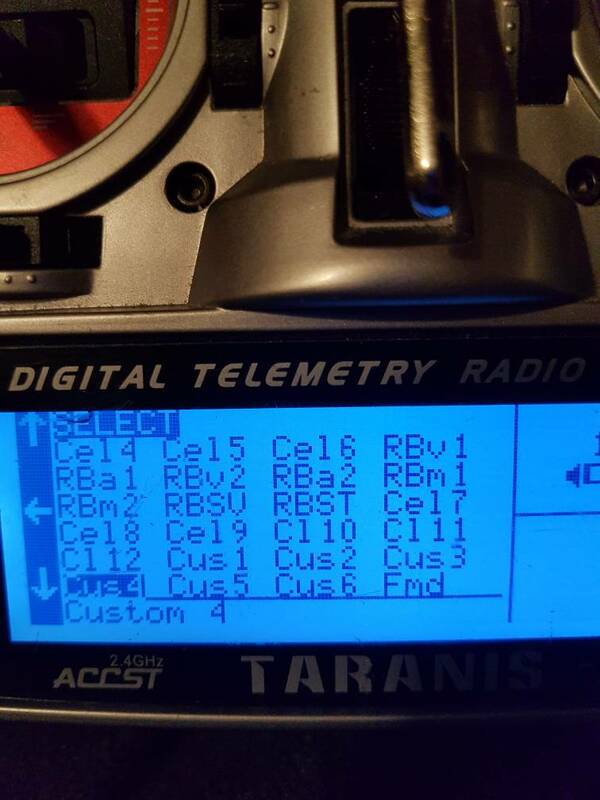 If telemetry stops working, please let me know which of these 5 counters is still counting. MikeB wrote: I found one small bug that might explain the loss of telemetry, if the telemetry data wasn't correct at some point. I've posted a test version with this fixed, and also some debug counters added. These counters may help locate where the telemetry data, that looks OK in your log file, is going missing. They are displayed on the debug menu, 4 on the 4th line and 1 on the 5th line. 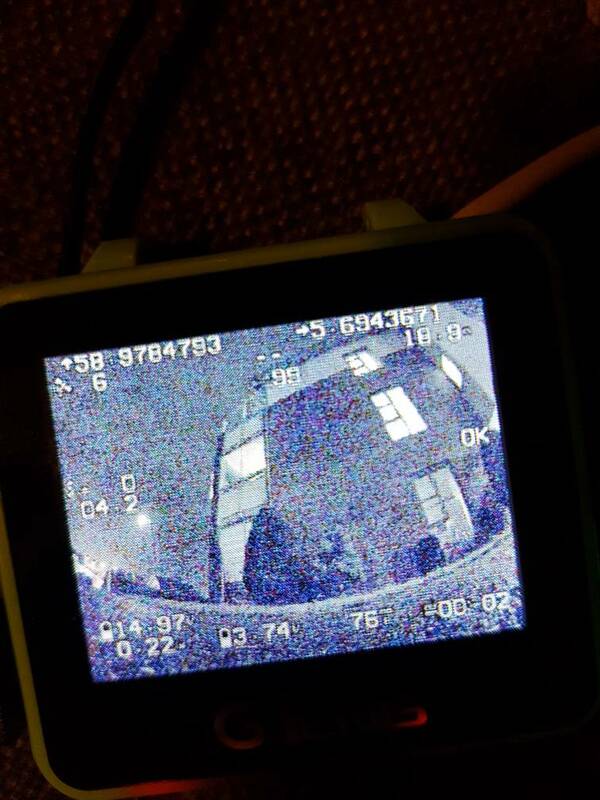 That's the screen, did you flash the special test version I posted (on the test versions thread)? I have since posted "x9dp_romXfireTest.zip", which has the fix and added debug in. Please flash that and re-test. Thanks, it looks like that version is working. 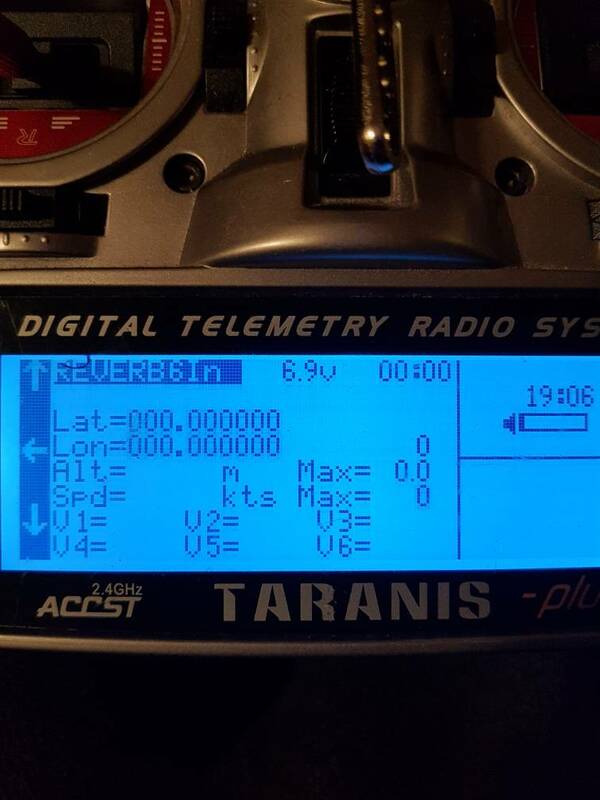 I havent lost telemetry for several minutes, and I can see the GPS coordinates on the screen. 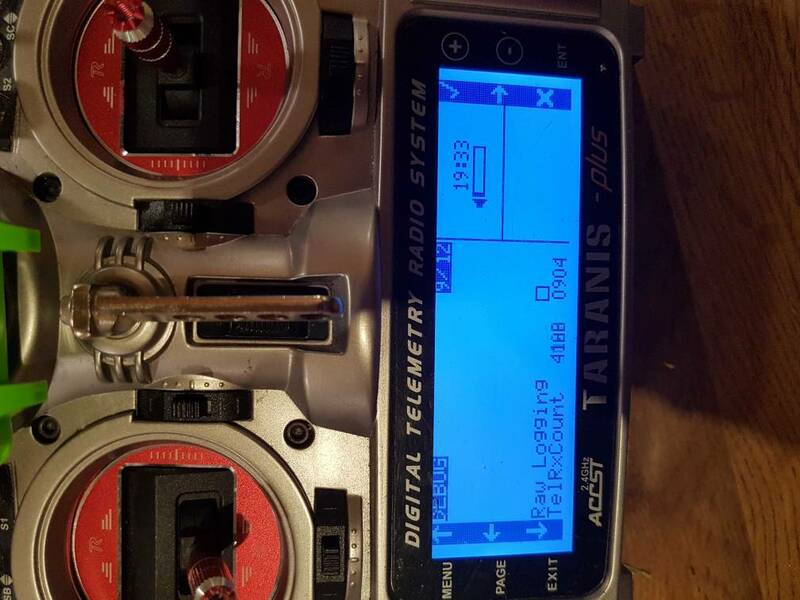 The altitude doesnt seem to be right, 21meters on my OSD and 2.1m on the taranis. In opentx, there are two crossfire telemetry variables I normally use for signal strength warnings. 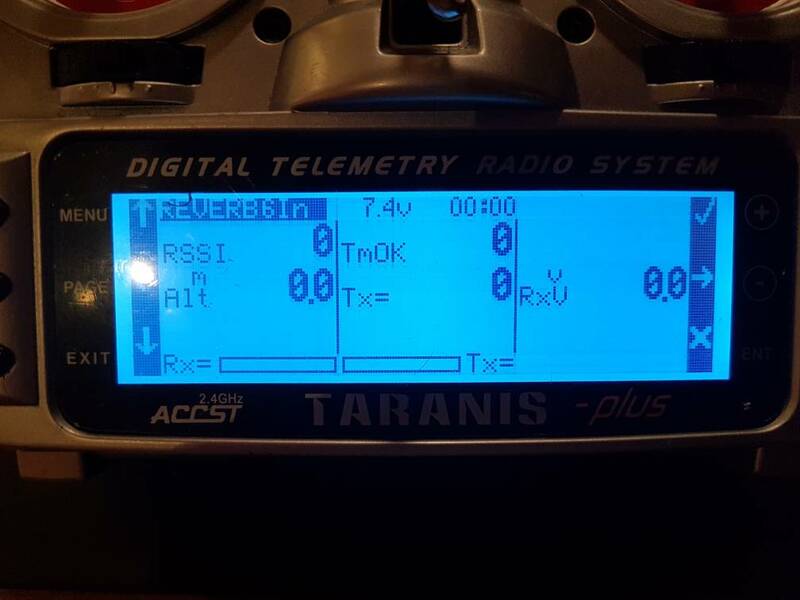 That is RQly (Receive Quality) and RFMD (2=150Hz fast mode, 1=50Hz normal mode, 0=4Hz slow mode). 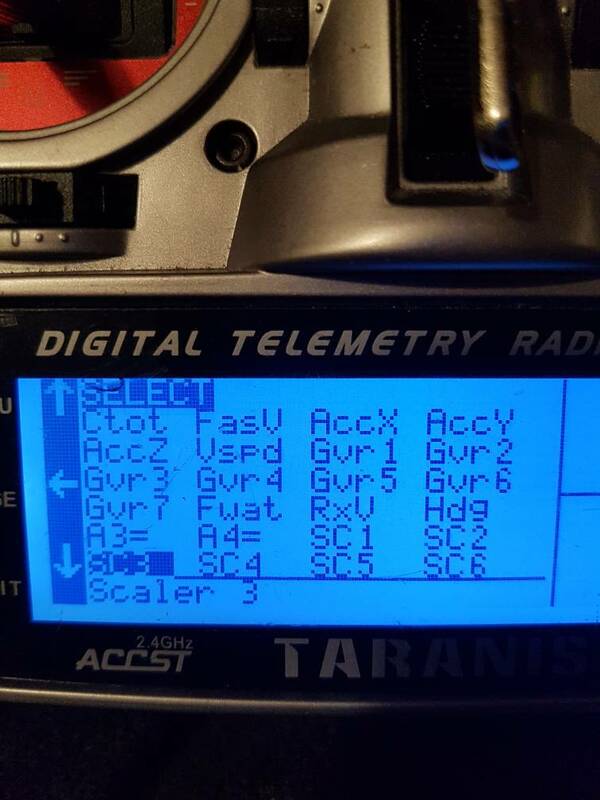 I couldn't find them in the list of telemetry variables in the ersky9x firmware. Do they have a different name in this firmware? Check the second post of this thread, I think you need Cus3 and Cus6. You may assign a new name for these (see the Telemetry|Sensors menu), although this is a very new feature so the new name is not used everywhere (yet). I've just been testing a change so the Cus1-6 values display their new names in most places if they are re-named. This will be in the next test version I post.